In memory of the Vietnam Veterans who served and did not return. 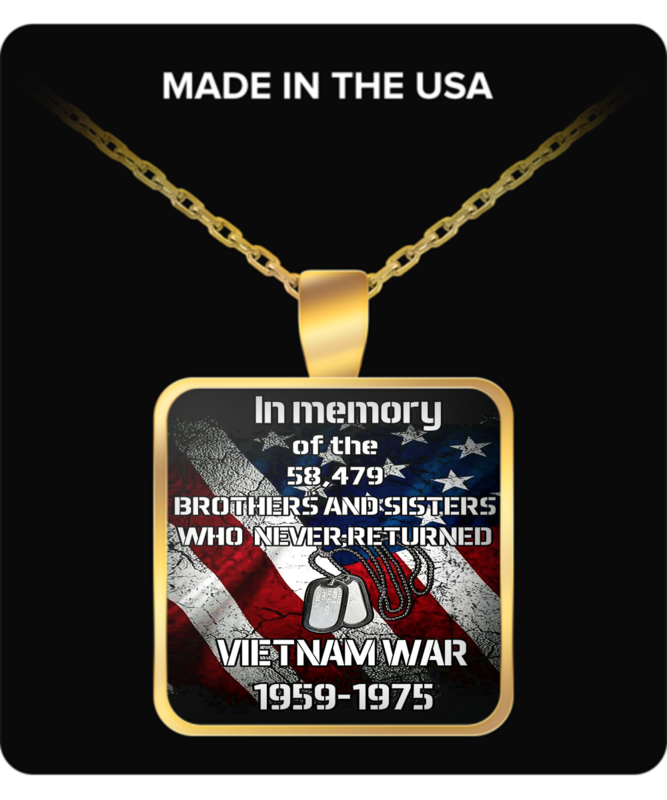 Great necklace for any family or friend of a Vietnam Veteran. * Available for Silver Plated Necklace and Gold Plated Necklace ..
My wife loves it, wears it constantly. My item came when they said. it is beautiful...very happy with it. The updates were very helpful and kept me well informed. the necklace is very good quality and made to perfection....I have received alot of compliments on it...thank you so much!!! Great service and product. Arrived much sooner then I was expecting. Love the necklace! I bought the necklace to add to my veterans memorial. I have other items sharing the same sentiments. a ring, lighter and other mementos of the wall and the war. it adds a splash of color to my display.